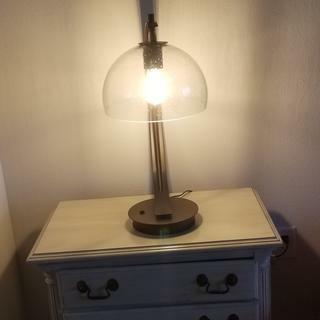 This vintage industrial-look table lamp comes with a USB port built into the base for charging your smart phone and other devices. 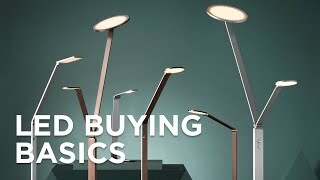 From Possini Euro Design®, this energy-efficient LED accent table lamp is a gorgeous addition, with some added functionality in a USB port. Place the lamp beside an armchair and create an easy place to charge your smart phone or tablet. The lamp boasts a bronze finish with a double arc body and a seeded glass dome shade. Includes one vintage-look Edison bulb. Overall: 22 1/2" high x 10 1/2" wide x 14" deep. Glass is 6 1/2" high. Base footprint is 8" high x 1 1/2" wide. Weighs 12 lbs. Includes one 7 watt standard base LED bulb. 2200K. On-off rocker switch on the base. 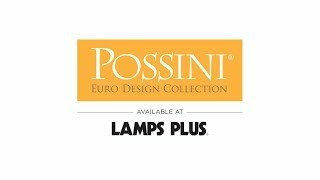 Energy-efficient LED accent table lamp by Possini Euro Design®. Built-in 5V DC 2A USB port in base powers smart phones and electronic devices. 2 amps. Bronze finish base and arc arm. Metal construction. Seeded clear glass dome offers a vintage industrial look. 7 1/2-foot brown cord. Complements a floor lamp I purchased from lamps plus a couple of years ago. It looks nice and the USB. I have a floor lamp similar. Love the industrial look. 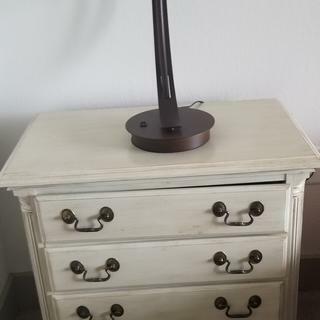 I liked the design, it should match my bedroom, also was looking for USB port lamp w/ an on/off switch that was easy to reach (this one is on the base). Loved the design of the lamp and also wanted a USB port. I love these lamps, bought two previously, but the shades are weird, one has lots of bubbles, the other doesn't. I'm slightly OCD, so this bothers me a great deal. You can't buy replacement shades, so I just bought two more lamps hoping to get shades that match up better. The other two will go in the spare bedroom where I don't have to look at them every day. The lamps are gorgeous though! I wanted a LED reading lamp. The USB Port will come in handy. It’s different and has USB port. Kind of eclectic. Goes with my style. Matches my decore and purpose! The shape, the seeding and the usb. will look great next to the wall. Style + USB port....and happy as I have purchased 6 lamps from you already. I am a retired senior and was wondering where the discounts are? 2.0 A USB port, and the design. BEST ANSWER: Hi - Sure, I do not see why not. With the USB port feature, you can charge your phone while you work. Yes, I use it on my desk. It's a little larger than your average desk lamp, but it works for me. If the desk is larger, yes. I have it on an end table, where it looks great. that would actually be pretty cool! I'd do it! Any way to get a bronze base with an opaque shade? BEST ANSWER: Hi, unfortunately the bronze lamp is only sold with the clear glass shade. I saw a similar lamp with a cloth shade, but not a glass shade while searching from another lamp. With the Edison bulbs, the light is not overly bright or glaring. I use 2 of these lamps on bedside tables. Go to Lamps Plus and search for bronze desk or table lamps and you may find the one I saw. There is a chrome lamp with an opaque glass shade. Maybe you could just order the shade as a replacement part. Sorry I didn't mention this before. Where/How do I do that? Is the bulb visible through the glass - it looks like it might be very rough and glaring on the eyes. Is that so? BEST ANSWER: Hi Cat - Yes, the bulb is visible through the glass. You may also use a frosted light bulb to cut-down on the glare. Yes, the bulb is visible through the glass shade. I installed a 60 W Edison bulb and felt it was too bright and switched to a 30 W. After a while I went back to the 60 because the 30 did not provide enough light. If you stare directly at it, it’s bright, but if you don’t, it’s not. What does this light bulb compare to in an old fashioned light bulb? How many watts?Could you read by this light or is it more decorative up? BEST ANSWER: The included 7 watt LED bulb is comparable to a 60 watt standard incandescent light bulb. Can the globe be replaced with another shade or is it fixed? What are the dimensions of the shade? BEST ANSWER: Hi, the glass shade can be removed. It measures 10.5" wide X 6.5" high. What is the diameter of opening on the top of the dome? Is the globe fixed or can you tilt it? BEST ANSWER: Hi, the globe is fixed. The globe is fixed and cannot be adjusted but since it is a glass globe there is plenty of light. It is fixed cannot be adjusted. Nice quality lamp i am pleased with the purchase. It's fixed. Since the globe is clear, that's not an issue for me. Is there a matching floor lamp for this? BEST ANSWER: Hi Cindy - This does not have a matching floor lamp in the collection. 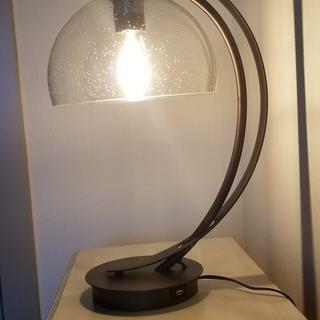 But, try floor lamp Style #4G503 which I think will compliment the table lamp. Does the lamp have to be on to charge a phone with the usb port? BEST ANSWER: Yes has USB port for charging. No light does not have to be on. Just plugged and not necessarily on. 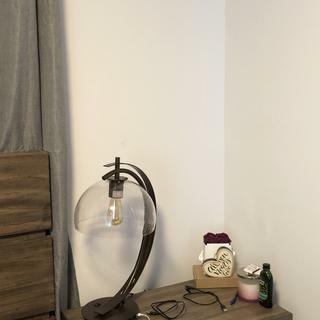 where is the information on how to make a lamp dimmable and what is the cost? BEST ANSWER: In order to dim this table lamp, you will need an LED rated table top dimmer or remote dimmer system. Click on the images below for details on compatible dimmers for this fixture. Does this lamp accept regular bulbs? If so, what is the maximum wattage? BEST ANSWER: Hi, the table lamp can use a regular light bulb. It uses a medium based bulb up to 60W max. I ordered 2 of these lamps for our bedroom. They are quality lamps and just as pictured. If you put them in a bedroom you might want to replace the LED bulbs provided with regular Edison incandescent bulbs. You can find them with the same amber tint at a home improvement store. The LED bulbs are really bright looking @ them thru a clear shade. The incandescent bulbs work great to tone down the brightness. Beautiful lamps. I am not giving 5 stars because we ordered 2 lamps and one glass is heavily seeded while the other is lightly seeded. So our lamps end up by looking different from one another. I called customer service and was told that there is no way to make all glass the same. Beside that we absolutely love them. Two of these lamps grace our living room, adding a warm glow of elegance. Excellent craftsmanship and artistic design with a creative balance of wood, metal, and glass in perfect proportion. Great lamp. Stylish looks and usb plugin a bonus. Gave to my daughter for master bedroom in a new townhouse. She loves the design and that it has a USB so she can charge her phone at night and still have it handy. Very classy style. Delivery was prompt. Lamps were excellent match with my room decor. USB plug helps eliminate the use of extra wall pugs. MY Wife didn't know that I had bought the lamps. I surprised her and SHE LOVES THEM. THE AMBER LIGHTS AND CRYSTAL DOME ACCENTUATES THE WHOLE ROOM!!! I love my lamp. Beautiful in the bedroom. Will definitely be buying another for the other side of bed. Arrived quickly. Beautifully packaged. A unique design for our bedroom. Changes the whole look. My mate is a designer. When he saw he was thrilled. Bought two of them. Even reading by light is easier. Really well made. Am happy I bought. Thank you. Good company. This is a unique lamp and so beautiful! This lamp is better than I expected. Nice design and very sturdy. The light gives off a warm glow. Comes with a bulb. I purchased this for my daughters room at college. It is really a nice blend of contemporary and vintage which most young adults like. We did change the bulb to a frosted incandescent one as the clear ones with filament through the clear shade are harsh on the eyes. Lamp is nice and bright which is great. I like the raindrop effect in the glass dome which compliments Edison type bulbs. The only hint of bronze is the base of this lamp. It is really simply brown in color. Will return because it does not fit my decor. As for the lamp, it is otherwise exactly as advertised. There was absolutely nothing wrong with the lamp itself and the delivery was very prompt. Would purchase from Lamps Plus again. Enjoy the jackfruit leaf shade design of this traditional uplight table lamp with its green and brown edges. The natural colorwith brown edgesof the Jackfruit leaf shade creates the attractive form of this traditional uplight table lamp. Eye-catching and wearing a vintage platinum finishthis contemporary aluminum table lamp boasts a modish design. A contemporary chrome finish table lamp topped off with a lovely custom printed Indigo Path opaque shade.